Who? Head of multimedia for Trinity Mirror; executive editor Birmingham Post and Mail. What? Oversees multimedia developments for Trinity Mirror’s regional titles. Where? 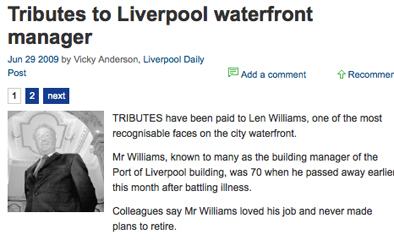 @davidhiggerson or on the Liverpool Daily Post’s politics blog. This entry was posted in Recommended journalists and tagged #followjourn, Birmingham Post, David Higgerson, executive editor Birmingham Post, head, The Liverpool Daily Post, Trinity Mirror on July 9, 2009 by Laura Oliver. Today’s story from the Liverpool Daily Post on council staff taking sick leave was the result of a Freedom of Information request made through democracy website www.whatdotheyknow.com. Because the source and links to the information released through the FOI request are included at the bottom of the article. A nice touch. 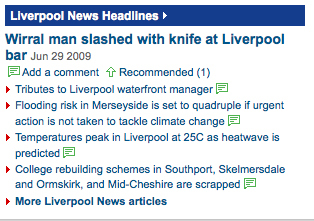 This entry was posted in Online Journalism and tagged Andy Dickinson, Freedom of Information, Liverpool Daily Post, The Liverpool Daily Post, www.whatdotheyknow.com on December 1, 2008 by Laura Oliver. The Manchester Evening News has used free online tool Dipity to create an interactive timeline of the paper’s coverage of a proposed congestion charge for Greater Manchester. 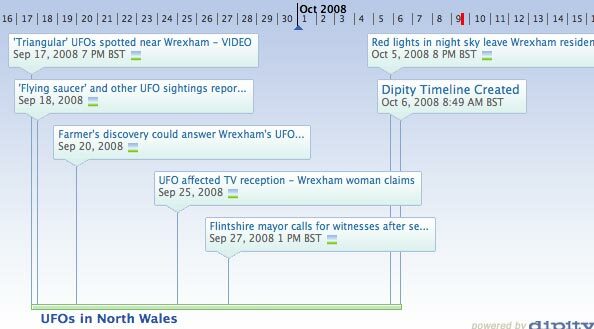 The timeline features text and images from key dates in the ongoing story, dating back to January 10 2005. The information can also be displayed and browsed by text-only, images-only or on a map. The Liverpool Daily Post recently used the same online tool to create an interactive timeline for its diary of a day in Liverpool. This entry was posted in Multimedia, Newspapers and tagged free online tool, Liverpool, Manchester, Manchester Evening News, online tool, The Liverpool Daily Post, the Manchester Evening News on August 26, 2008 by Laura Oliver.